Cyclone Debbie has hit the north-east Australian coast, causing major damage, torrential rain and power cuts to tens of thousands of homes. 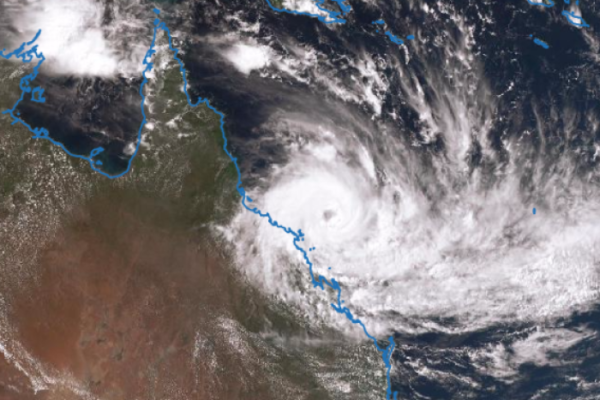 The powerful cyclone made landfall between Bowen and Airlie Beach in Queensland as a Category 4 storm, whipping gusts of up to 163 mph. Debbie is moving inland as a Category 3 storm but could cause damage for hours yet. One serious injury has been reported. Australian PM Malcolm Turnbull told parliament he had activated a disaster response plan. The extent of Cyclone Debbie’s devastation, which has a 30 mile-diameter eye wall, may not be known for some time, authorities said. Australian authorities warned people to stay indoors until it was safe to go outside.